As i woke up this morning, a greatest news came to my door. This band has been my biggest inspiration since my schooldays. From “Boys Don’t Cry” to ” Friday’ i’m in Love” , those tunes keep on singing in my head until now. I’m soo there.. koyak already my wallet buying da ticket but it worth it! every ringgit! gah the SG currencys rate sux! still got 1 month+ to prepare..passport, transport, place to stay not yet settle..ohh the last time i even set foot on SG soil was freaking 12 years ago watching Pearl Jam. 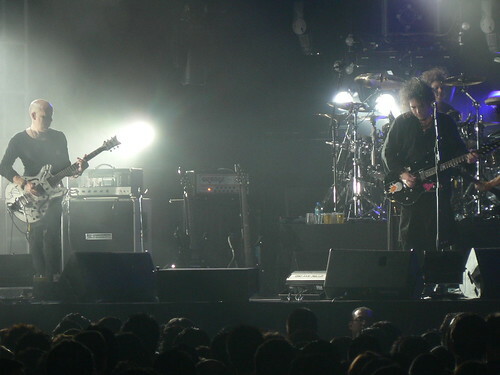 but nothing please me to see THE CURE LIVE right in front my own eyes. Just like Heaven i tell ya.. i cya guys there! Rock on! You got your CURE tickets yet. if boleh don’t buy ticket cash kat kat kl sentral diorang kao team 2.4 currency rate, gah! Let me know ya if you going. maybe we can buat gathering there manala tau. You seem pro dalam bab2 gathering ni. wah best!!!! so Abang Ammir , you confirm going already ar?? brett anderson of the londonsuede is coming too on the 16th.. wahlauwey..how i wish aku byk doit!! Hey Ammir, nice photo’s. If your interested these guys will be posting the bootleg of The Cure concert this weekend.